When you’re not displaying or selling your artwork, it can be tempting to leave it out of sight and out of mind while you devote your time to creating new art. But a little preparation before you store artwork can save a lot of damage and regret later on. Here are a few tips from Showroom Manager Lindsey Harrison. Framed Artwork: Before packing framed art away, wipe down the frame with a microfiber cloth and clean the glazing before to keep dust and debris from settling in the framing treatment. 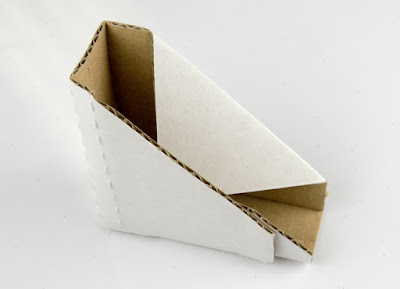 To protect the integrity of the frame and prevent the corners from separating add cardboard corners over the edges. 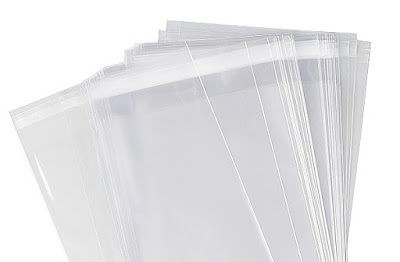 If you’re storing artwork that doesn’t have glazing, such as a canvas, use a sheet of glassine to cover the front of the canvas and then wrap using glassine paper. Then, wrap a soft covering, like a blanket or bubble wrap, around the entire frame and secure it with packing tape. Next, pad the front and back of the artwork using pieces of acid-free material, such as Foamcore, taped together. For added protection against water or moisture, place the wrapped artwork in a plastic bag. We recommend that each piece be wrapped individually. But if you’re short on storage space and need to wrap two frames of the same size together, make sure you place them face to face to prevent scratches. Unframed Artwork: Never roll up unframed artwork, as it may cause creases in the paper and can crack the paint on original paintings. Instead, carefully wrap it in acid-free tissue paper or glassine. As with the framed artwork, you can create an added layer of water resistance by placing the artwork in poly bags. Position the wrapped artwork between two pieces of an acid-free sturdy material slightly larger than the artwork itself, such as foam core or mat board, and secure it with tape to help keep it flat. Long-term Storage: If you’ll be storing your wrapped artwork for an extended period of time here are a few more things to consider. Climate Control - An important factor in storing your artwork is the temperature and humidity of the storage location. Sudden climate changes can cause expansion or contraction of the framing materials or canvas, which could lead to warping. Fluctuations can also cause fading, yellowing, and peeling or cracking of paint. High humidity can also encourage mold growth. Avoid attics and basements – Never store your artwork and paintings in either of these places because you don’t always have control over the temperature and humidity, and the damp or dry conditions are likely to damage your artwork. Avoid concrete floors or walls – Never lay your art pieces and paintings on concrete floors or walls. They could absorb moisture from the concrete. Avoid direct sunlight – Always keep your paintings away from sunlight to prevent fading. A windowless storage area is best. Avoid direct heat – Keep your art pieces away from heat sources such as fireplaces and heaters. Heat can cause paint to become soft and peel off. Have more questions about keeping your work safe? Our customer service team[L-AF1] [AP2] is happy to help. Excellent tips for storing and caring for your artworks. It's very important to observe the climate control in the room, as the temperature and humidity, as I already learned from my physics assignment, which I partly did with the help of Assignment.EssayShark experts (where, however, you can get physics homework help), can lead to unintended consequences or cause damage. Fortunately, there are enough offers on the market in this sector and it's possible to select equipment that will maintain the parameters of air and humidity in the room. Find most reliable service which consists of professional UK essay writer.The essay writers will ensure that all of your academic dreams come true and that you achieve the highest success.Our essay writers can produce impressive essays each time. Their expertise in the matter reflects in the superior quality of their service.We never miss deadline for any of the essay. Essay help service has a reputation of delivering the work within the stipulated time. Assignment Helper does not compromise when it comes to maintaining high quality that our customers expect from us. Doing coursework can give rise to anxiousness and stress which may make you cave under the academic pressure, and start your hunt for coursework help services. The management Principles Tesco executes the planning and controlling to achieve the objectives of the organizations. Are you looking for a good essay writing guide? Check this site https://nerdymates.com/blog/mcgill-guide. There are a lot to explore.